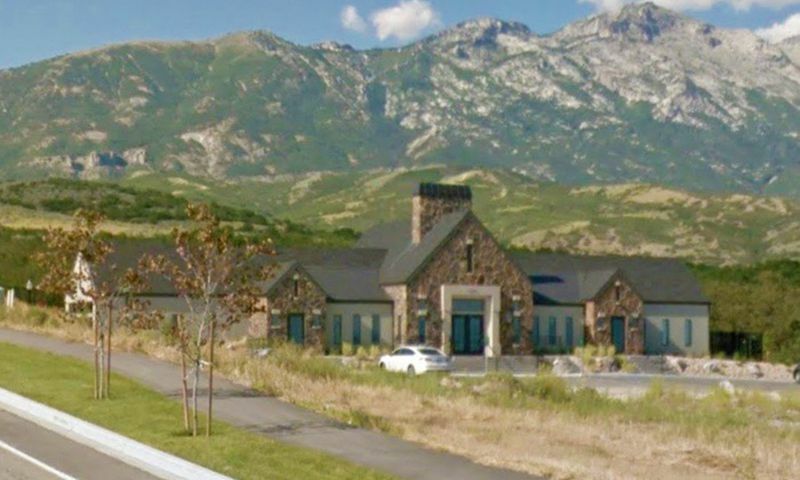 Stirling Pointe at Skye Estates is a 55+ community located in Highland, UT. This beautiful active adult neighborhood will consist of just 60 attached homes. It is ideally nestled along the foot of the Twin Peaks mountain range, providing nearly endless recreational opportunities in the immediate area. With desirable amenities that will bring the community close together and low-maintenance homes developed by trusted builder D.R. Horton, Stirling Pointe at Skye Estates is sure to please active adult homebuyers in the Salt Lake City area. At the center of the community will be the clubhouse. Stay in terrific shape with the exercise room or enjoy a night in the theater room with a good movie and close friends. Outdoors, Stirling Pointe at Skye Estates will provide an outdoor pool and patio for enjoying the warmer months. Walking and biking trails that weave throughout the community's parks and natural space make for beautiful early morning jogs. D.R. Horton began construction on Stirling Pointe at Skye Estates in 2015 and upon completion it will contain 60 attached homes. There are three home models to choose from, offering 3,293 to 3,994 square feet with one to four bedrooms, one-and-a-half to three bathrooms, and an attached two-car garage. Homeowners love that some homes offer incredible mountain views, gourmet kitchens, and outdoor spaces to maximize enjoyment of the scenic surroundings. Living within Stirling Pointe at Skye Estates means enjoying all that the community has to offer. Enjoy a movie with friends in the theater room, start a new fitness regimen in the exercise room, or find a jogging buddy to hit the trails. D.R. Horton also provides a low-maintenance lifestyle where residents will have more time to do as they please. Stirling Pointe at Skye Estates is located in Highland, Utah. Just down the street from the community is a Smith's grocery store, fast food restaurants, a bakery, and banks. For traveling in the area, Interstate 15 is nine miles away and, for farther travel, Salt Lake City International Airport is 30 miles from the community. Highland, UT, is also a recreational enthusiast's paradise. Highland is home to the Timpanogos Cave National Monument where a one-and-a-half mile hike leads to three caverns to explore. The Bonneville Shoreline Trail is also conveniently close for additional hiking opportunities. For big-city entertainment, Salt Lake City is just 30 miles to the north. For an intimate 55+ community near big-city attractions, look no further than Stirling Pointe at Skye Estates in Highland, Utah. Check back soon for more information on the lifestyle in Stirling Pointe at Skye Estates. 55places.com is not affiliated with the developer(s) or homeowners association of Stirling Pointe at Skye Estates. The information you submit is distributed to a 55places.com Partner Agent, who is a licensed real estate agent. The information regarding Stirling Pointe at Skye Estates has not been verified or approved by the developer or homeowners association. Please verify all information prior to purchasing. 55places.com is not responsible for any errors regarding the information displayed on this website.